Consider this post the flip side of my last post. I figure that while my favorite subjects may divulge certain things about me, my least favorite subjects will do the same. In fact, it may show even more. The only science that I couldn’t stand, biology was a learning experience for me. It was the first subject in school in which I got less than a B+. It was a struggle for me – I studied hard for it, but it didn’t make sense to me. The problem, I believe, is that it is more memorization of facts than derivation of ideas built upon the basics. In other words, it is the least mathematical of the sciences that I have studied. If you read my last post, you’ll recall that I have a mathematical mind, so it stands to reason that I would have trouble with biology. I wish I had understood more about biology, but, at the time, it was just this far beyond my complete grasp. This was another difficult subject for me. At the time, when I was in high school, I hated to write – especially about something that I didn’t quite understand. Even if I enjoyed the topic about which I wrote, I just wanted to get done with it. What I learned from this class were concepts such as opening paragraphs, bodies, closing paragraphs, summaries… no, let me correct myself. What this class taught me was to add extraneous adjectives, adverbs, and clauses to reach the required word count. It also taught me proper spelling and grammar, because the teacher would deduct points for mistakes. The fact that I have not one, but two blogs shows that I have overcome my aversion to writing. In fact, I quite like to write now. Related to the above paragraph, I couldn’t stand these classes. Part of it was because we were required to write papers about the literature, but the biggest reason was because I hated to read! In fact, I hated to read so much that I would take notes during class about whatever I was supposed to be reading, then write my papers based on the notes. Not the best, or most intelligent, strategy, but it must have worked – I passed the classes. Oddly enough, just like writing, I changed later in life, and now I love reading. 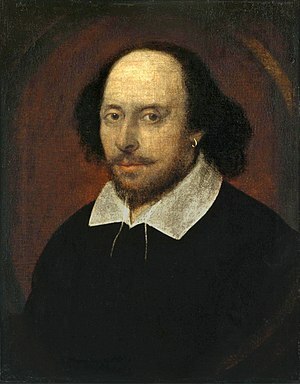 One of my favorite electives in college was Shakespeare, and I still enjoy reading his works. Of these three subjects, two of them have made 180s, and now I love them. The third, biology, I wish I understood better. It’s funny, but people can change. At the time, I would never have thought it possible that I would one day love to read and write. Thank God I have. How about you? What were some of your least favorite subjects? Has your opinion changed since then? This post is for the September Back To School Blog Challenge, hosted by Matt Conlon on Join Something. This entry was posted in Blog Challenge and tagged Back To School, Biology, Blogging, Challenge, Education, High school, innocence, Learning, Literature, Personal, School, Shakespeare, Student, True Story.